"The Fiddle & Bow Society presents Americana singer-songwriter Kipyn Martin at the Muddy Creek Music Hall in the historic Bethania Mill (5455 Bethania Rd,) Friday July 1st @ 8:00 pm. Additional concert details at www.fiddleandbow.org. 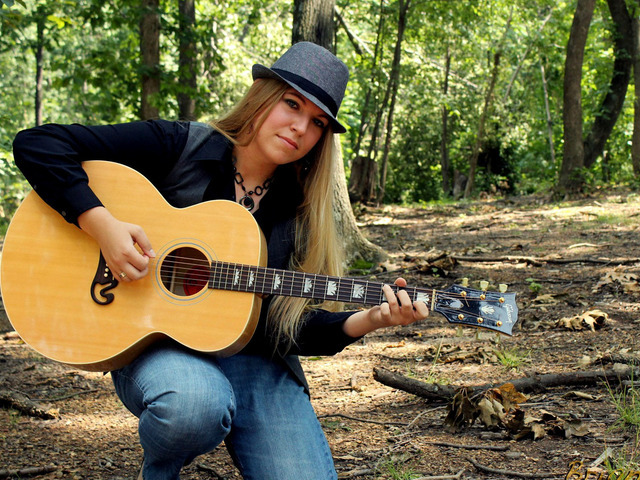 Kipyn Martin is an emerging Americana singer/songwriter whose roots sink into the banks of the Shenandoah River. She currently plays festivals, concert halls, coffeehouses, and house concerts from New England to Texas. In March 2015 Kipyn was honored by the Washington Area Music Association with their WAMMIE Award for New Artist of the Year. Other accolades including winning Gold and Silver Awards in the 2014 Mid-Atlantic Song Contest for her original composition “Dance Across the Sky”. Kipyn’s debut album Undercover Muse earned acclaim both internationally (“I Believe in You” scored a semi-finalist rating in the 2013 UK Song Contest) and nationally (Gold and Director’s Choice Awards in the 2013 Mid-Atlantic Song Contest for “Nightbird”). Offering an authentic representation of Kipyn's live performance, the songs from Undercover Muse are strictly acoustic. Michael Granberry of The Dallas Morning News calls her song, "Undone" (which was written about her mentor, Shenandoah acoustic blues artist Pops Walker) simply "a terrific song." Placing in the NewSong Academy Songwriting Competition inspired Kipyn to pursue a Master of Music degree, which she attained from Shenandoah Conservatory in 2012. A passion for poetry and song fuels her as she returns to the studio in the latter half of 2016 to record songs for her next album. More information about Kipyn (including EPK) at www.kipynmartin.com."